Good evening! 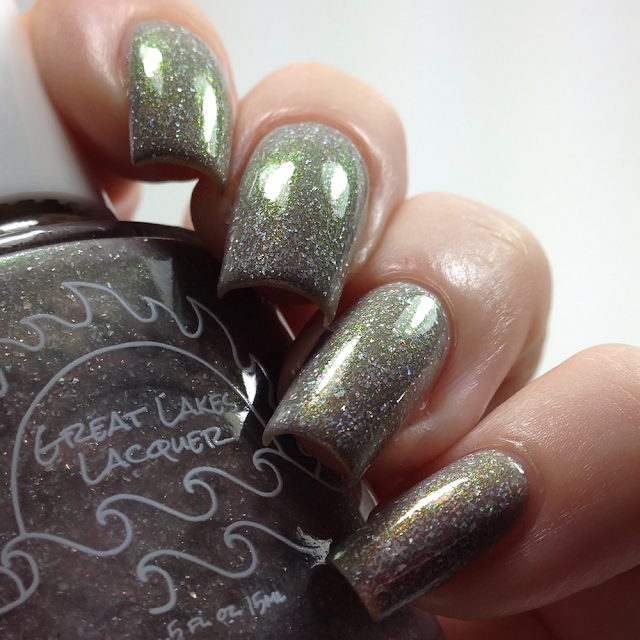 I have some pretties from Great Lake Lacquers to share with you tonight! Read on for more info! 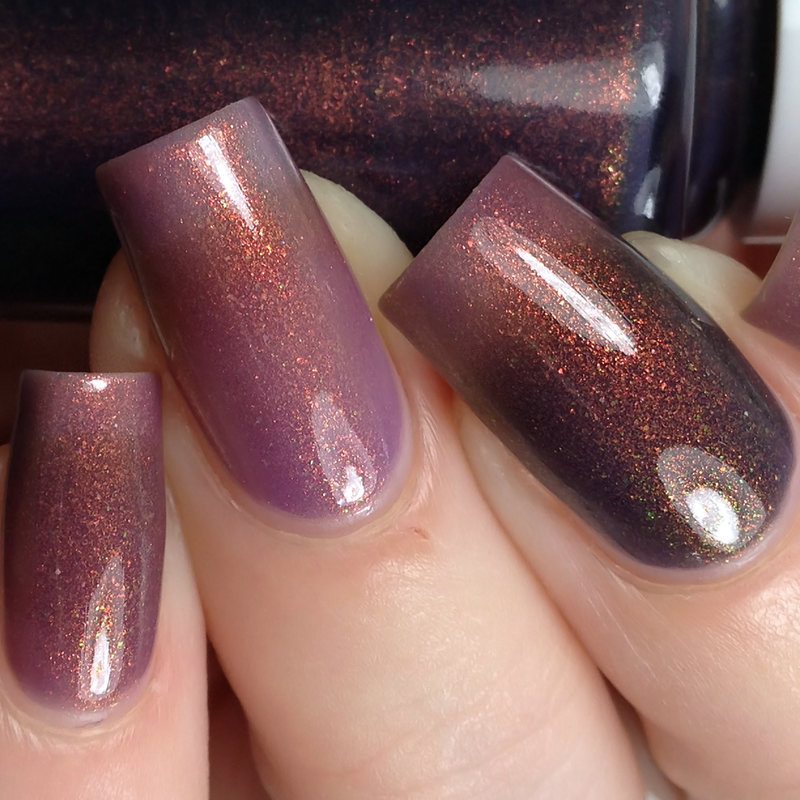 Described as a tri-thermal that goes from navy (cold) to peach (warmer) to a periwinkle (warmest) filled with copper red to green shifting aurora shimmer. All of the "Black Friday" polishes will be $8 each and will not be restocked. Limited in quantity, once they are gone, they are gone. 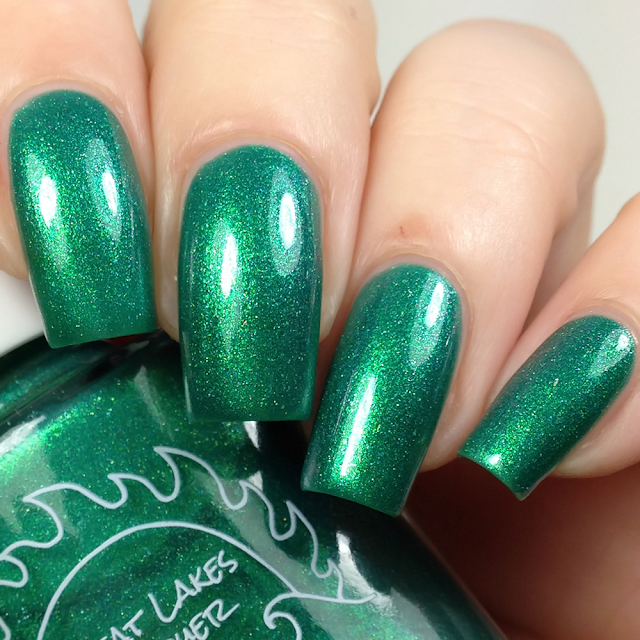 Formula was good, applied easily and transitioned well. 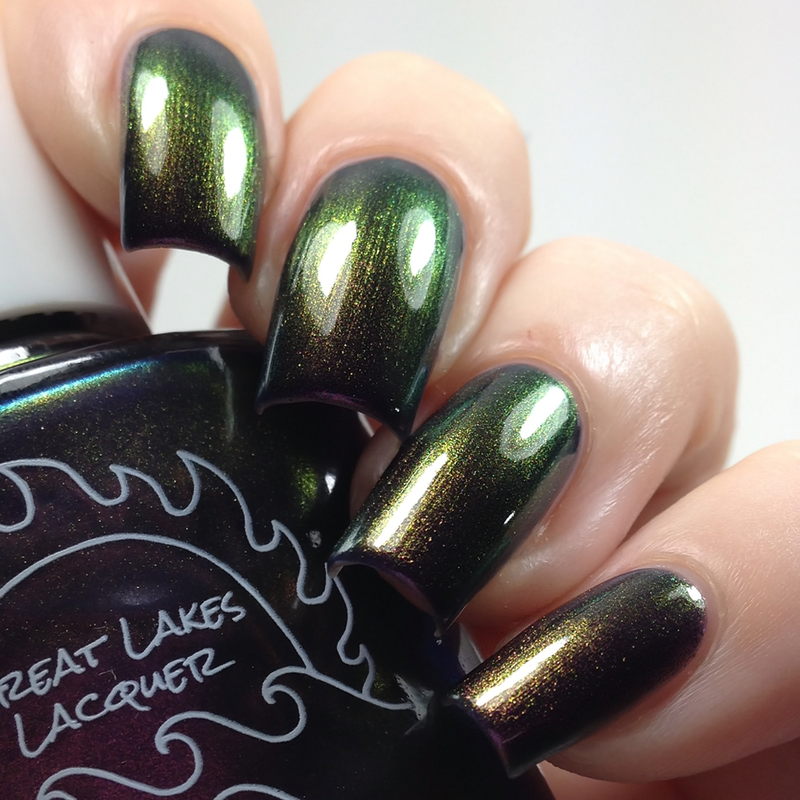 Winter is when Mariah from Great Lakes Lacquer dreams of getting out of dodge. These five places are her dream destinations to visit. Hope you have your traveling boots on! $12/ each or $55/whole collection! Described as a greige filled with holo micro flake and glowing with shifting copper to bronze to green shimmer. 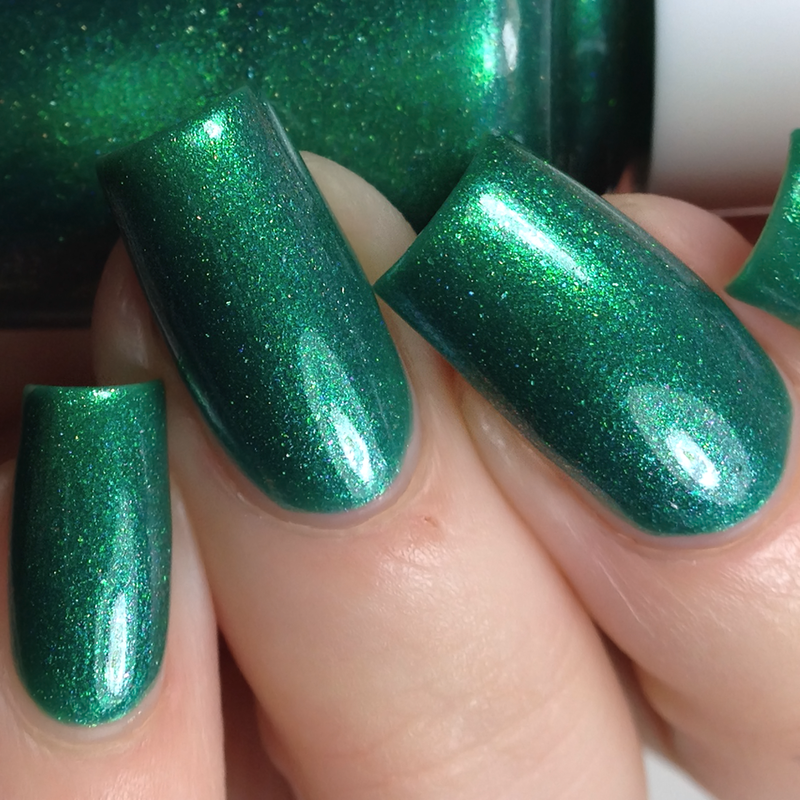 Described as a gorgeous jade filled with shimmery shifts of green, gold, and purple/red. 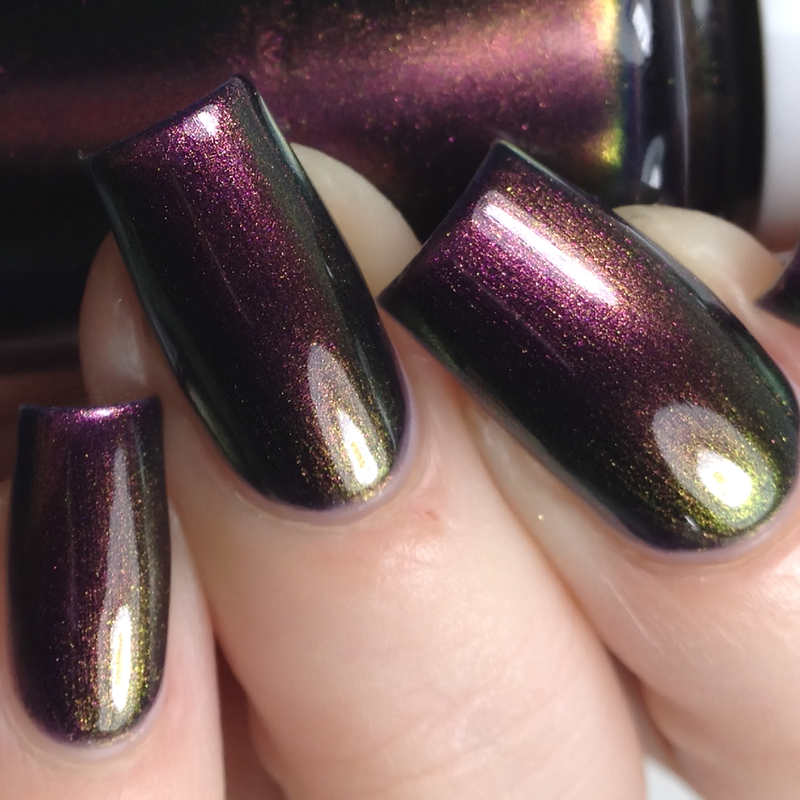 Described as a midnight blurple that shifts to blue with a shimmery shift from purple to bronze to gold to green. 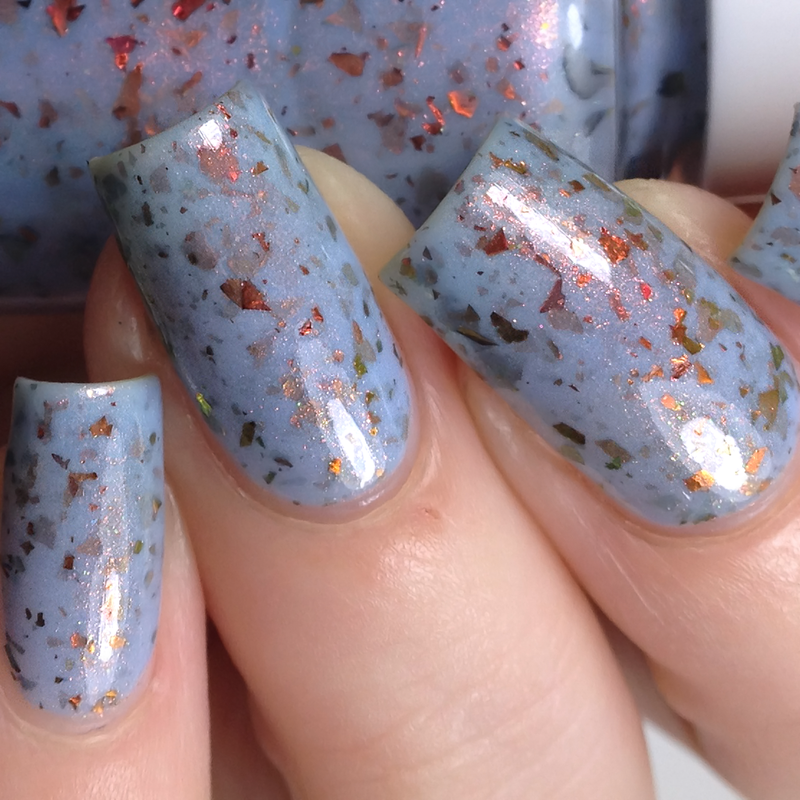 Described as a turquoise blue filled with holo micro flake and shimmery shifts of aqua and sapphire, with a purple glow. 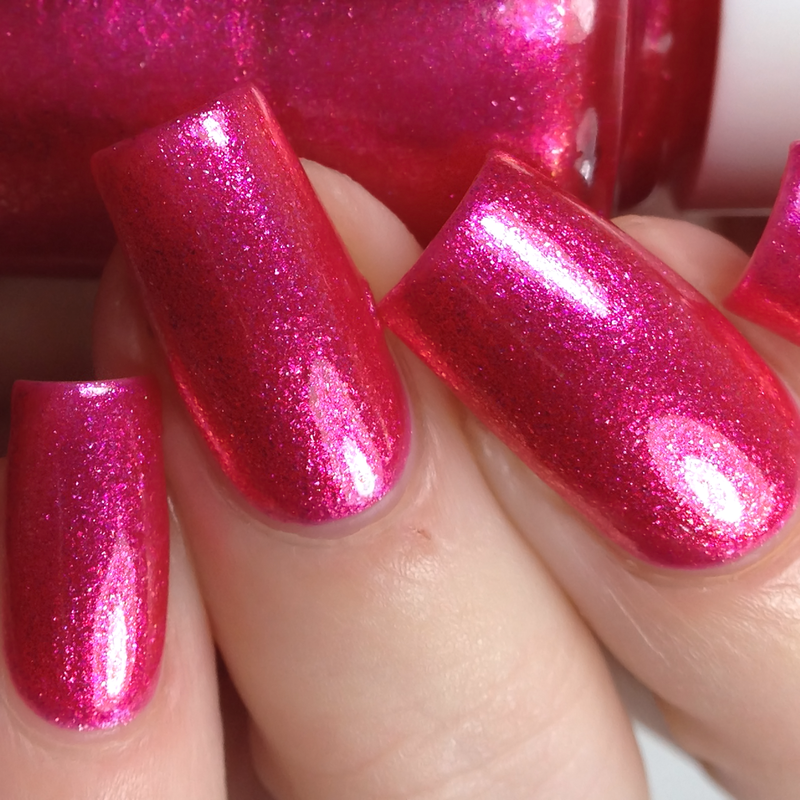 Described as a fuchsia purple filled with holo micro flake, blue to purple shifting iridescent flake, glowing with shifting blue to purple to orange shimmer. Described as a fuchsia pink foil with sparks of pink, gold, and orange.